David and Eric established BE Fit in part to be able to focus on their belief that staying active is a key to a long and happy, healthy life. Our slogan of “BE Fit, BE Well” says it all and we don’t want to let injury or pain slow you down in that pursuit. We have been blessed to help some amazing people and helping them keeps us inspired as well: Marathon runners in their 60s, Olympic skiers recovering from multiple surgeries, collegiate multi-sport athletes, 70 year old cyclists setting records for cross-country endurance racing, and kids just discovering the love of being active in sports and the outdoors, as well as countless middle-aged (dare I say it?) runners, cyclists, and outdoor enthusiasts such as ourselves. We have treated athletes from (and played!) just about every sport out there. You can count on us to help develop a program that will maximize your ability to return quickly and safely to your sport. We also enjoy helping our patients figure out why the injury occurred in the first place and what they can do to reduce the chance of future injuries in their chosen sport. Performance enhancement is also a goal for many of our patients and our whole-body approach can often give you an unexpected boost, as can our collaboration with area trainers and coaches. 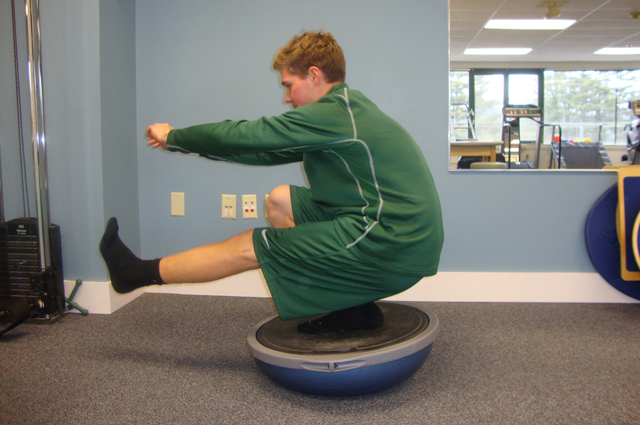 BE Fit is also proud to continue our support of many local sports teams including Hanover High Athletics, Lightning Soccer, Dartmouth College Athletics, and the Upper Valley Sports Education Foundation through providing physical therapy, financial support, educational lectures, and clinics. All of this has led some clients to ask “I’m not a competitive athlete, can I still come to you?” Absolutely! We enjoy working with any client who wants to stay active – be it walks in your neighborhood, being able to get on the floor to play with your grandchildren, play catch with your kids, or keep up your personal exercise routine at home. Our knowledge and passion for sports and fitness will help to get you back to doing whatever it is that you love. We look forward to helping you to BE Fit and BE well!